Pincushion Peperomia (Peperomia ferreyrae) is an ornamental, succulent, epiphytic erect shrub, up to 12 inches tall. The green stems bear very slender, narrow lime green leaves, up to 3 inches long with a darker-green longitudinal window along with their margin. The inflorescence is yellow-green, up to 12 inches long. 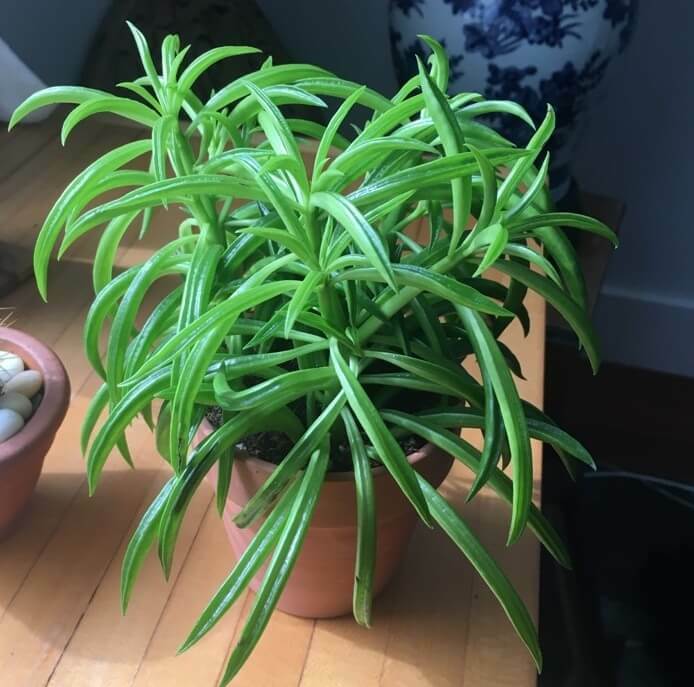 It thrives well in bright light, but no direct sun. Best indoor location is north or east facing the window. Thrives under fluorescent lights. It grows well in humus-rich, moist but well-drained soil or a peat-based soil is best, 2 parts peat and 1 part perlite or sand is a good mix. 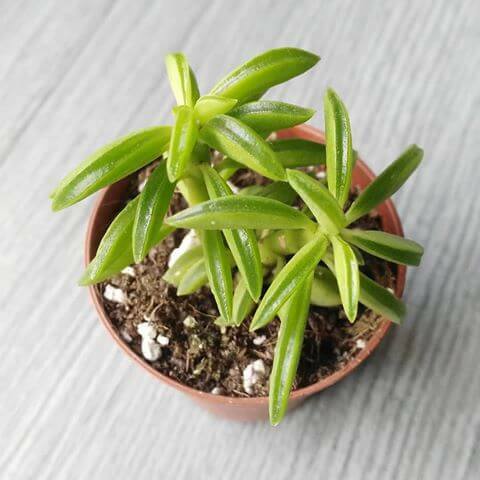 Pincushion Peperomia plants can be pruned anywhere along the stem. If stems and leaves begin overgrowing you can pinch out the top of certain stems to stop growth, otherwise, they begin to grow spindly and out of shape in appearance. New growth develops from the nodes just below the cut in the stem. It has no serious pest or disease problems. Look for mealybugs, spider mites, and whitefly. Leaf spots may occur. Susceptible to rot if soils are kept too moist. Wetness and cold winter temperatures must be avoided.